PRESIDENT Mnangagwa has promoted two Brigadier-Generals to the rank of Major-General and one Air Commodore to Air Vice-Marshal. The promotions are in accordance with Section 15(1) (B) (Chapter 11:02) of the Defence Act and are with effect from April 5. The newly promoted Major-Generals are Kazirai Tazira, William Dube and Air Vice-Marshal Biltim Chingono. 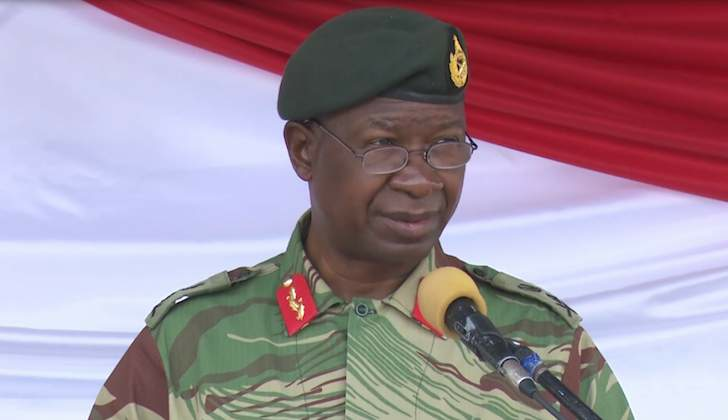 Conferring new ranks to the newly promoted, Zimbabwe Defence Forces Commander, General Philip Valerio Sibanda implored the three to continue working hard. "Continue doing your best," he said. "We are going to be asking a lot more from you, so redouble your efforts. You need to do more than you have done because rank comes with responsibilities and accountability has gone up a notch." Gen Sibanda said the promotions were based on a wide range of considerations, among which is merit, distinguished service, consistent dutifulness, hard work, loyalty, selflessness and patriotism. He said the ZDF command will continue to review the welfare of its personnel. "Our subordinates, the troops, are our best asset and we need to strive to continue ensuring that they are properly served, properly managed and properly educated," said Gen Sibanda. "It is your duty and responsibility to ensure that this asset which is bigger than money is properly catered for."